Pushing the Governor’s Tenant Protections Unit to sue Marolda Properties, a major predatory landlord in Chinatown. The suit targets Marolda to pay tenants restitution and disgorge all profits that resulted from their illegal harassment practices. By significantly jeopardizing landlord’s profits, the suit strengthens precedent deterring future city landlords from profiting off tenant harassment. Developing the leadership of Chinatown tenants to prevent unjust evictions, win healthier conditions, and preserve affordable housing for hundreds of residents. Most recently, in October 2016, residents of 135 Eldridge and 247 Broome won repairs and renovations, clearings of building violations, and agreements to stop harassment as an eviction tactic from their landlord. 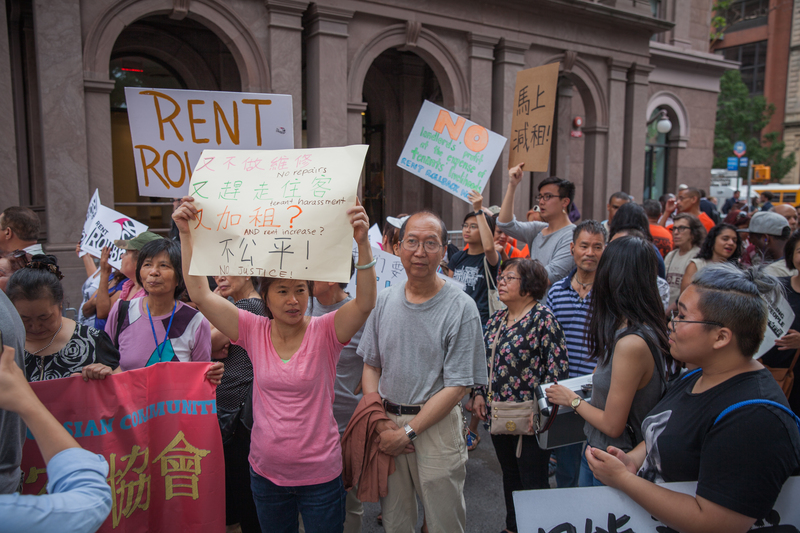 Our Chinatown Tenants Union worked with low-income tenants from across the City to win a historic rent freeze for the second year in a row, protecting over 1 million rent-stabilized New Yorkers from unfair rent increases. Our NYCHA Organizing Project published No Access: The Need for Improved Language Access, the first ever report on the experiences and policy recommendations of Asian immigrants in public housing leading to NYCHA adding Mandarin and Cantonese to their Central Call Center in addition to English and Spanish. This win has opened the window to push for other Asian languages including Bangla and Korean. 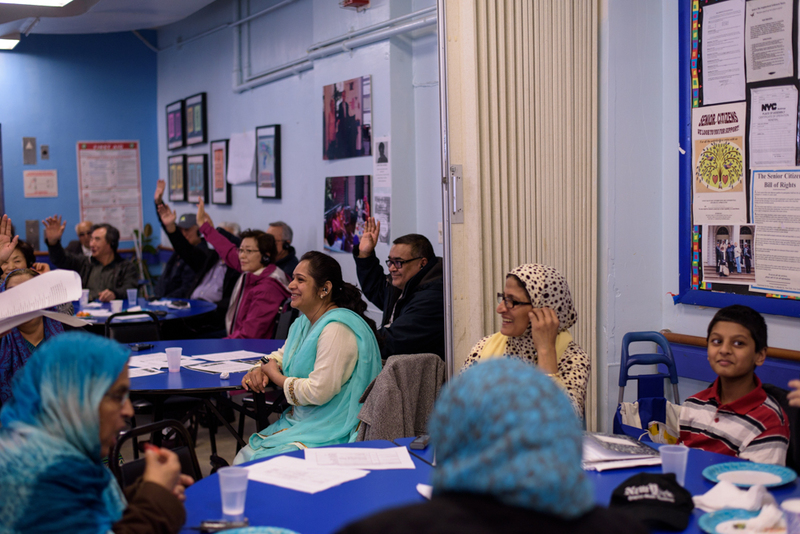 When NYCHA announced in 2016 that tenants’ income recertification process changed to an online-only, English-only form, our members spoke out on the new process’s exclusion of residents with language and technology barriers. Recertifying your income can mean the difference between staying in NYCHA or getting kicked out and NYCHA was influenced to continue accepting paper forms and extend office hours in developments across the City to assist tenants. Our NYCHA Organizing Project is currently meeting with NYCHA to deliberate further language access reforms: stronger datatracking of language access needs, interpretation for call-in repairs services, and increased funding for NYCHA staffing and services for LEP residents. 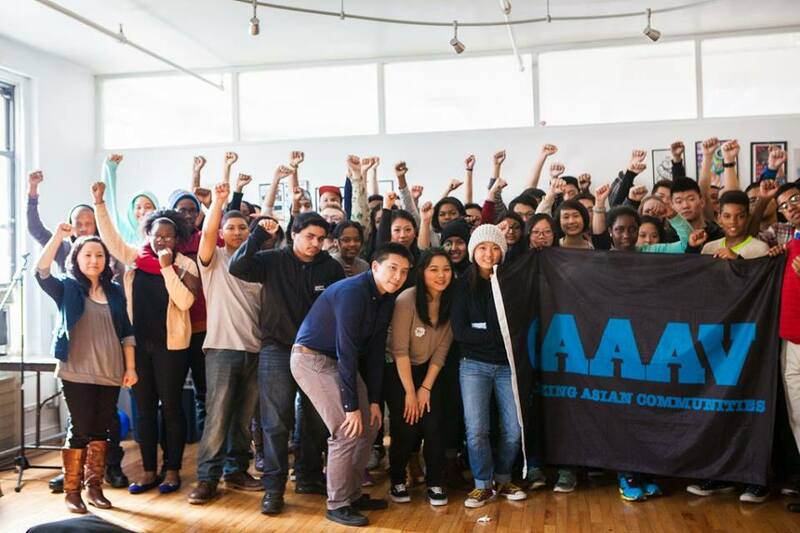 Our Asian Youth in Action internship trained 15 bilingual Asian youth to become organizers working alongside our adult tenants to advocate for affordable housing and language access. Bilingual youth already act as interpreters for their families. Through the internship, our youth leaders built the confidence they need to be agents for change and are now stepping up to lead the trainings for a new cohort of inspiring AYA interns. When Trump was elected, CAAAV brought together members from our different programs to share their worries and develop strategies to protect our communities. In response to the federal climate, CAAAV has organized Know Your Rights trainings for community members and mobilized our base to protest against social safety nets and targeting of oppressed communities. CAAAV’s members are building bridges across communities of color to fight for collective liberation. CAAAV’s youth members coordinated direct actions and mobilized to join a broader movement for police accountability. 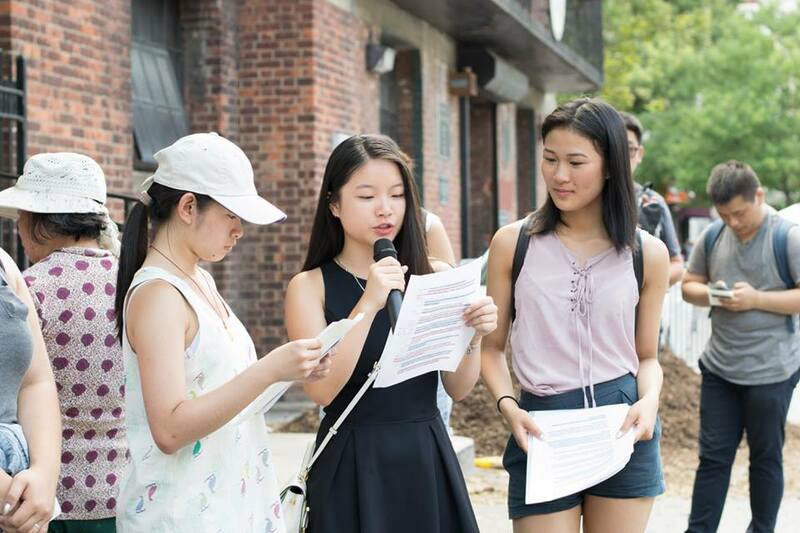 Our NYCHA members hosted events and mobilized for public hearings to connect with other NYCHA tenants building a multiracial movement to protect public housing. DONATE TODAY to help us continue to win change. Then celebrate with us for our Karaoke Battle 2017 event on Saturday, May 20th.